6. Ashley Davis, Miss Staten Island’s OT 2013, Top 6; Miss Five Boroughs 2015, Top 10. Pageants are so difficult to predict. Despite my research, I know very little about the first time contestants. The girls who are models have an entirely different approach to pageantry, and may surprise us. Since the pageant is statewide open, there are girls who live 4+ hours away from the Rome/Syracuse region. This may prove difficult to represent the region unless they give commitment. A girl from far away might have to spin the title and represent it in her hometown. Hometown may impact ranking after the scores have been tabulated. If a girl from a further region scores high, she may rank lower than a local girl who impacted the judges more directly in interview. We can expect good things from Ashley, Lauren, and Emma. Don’t be shocked if Emily, or Amanda walk away with a crown. 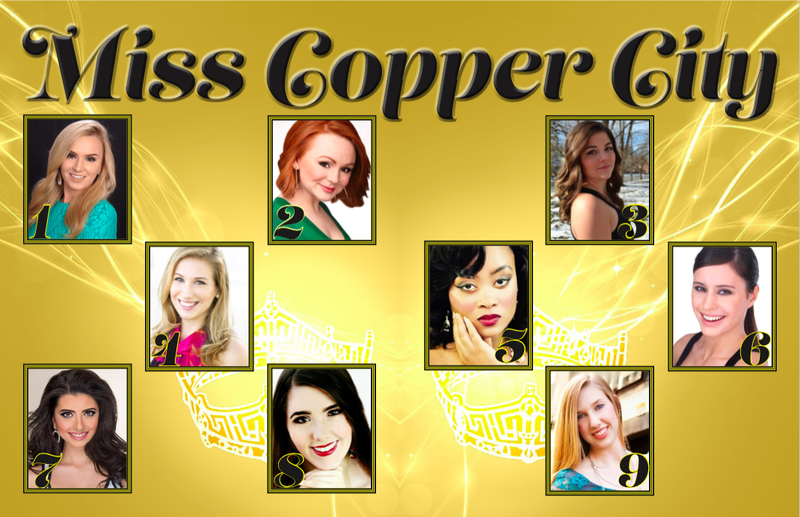 Who do you think will be the first Miss Copper City? Who will join her on the podium? Sound off in the comments below.